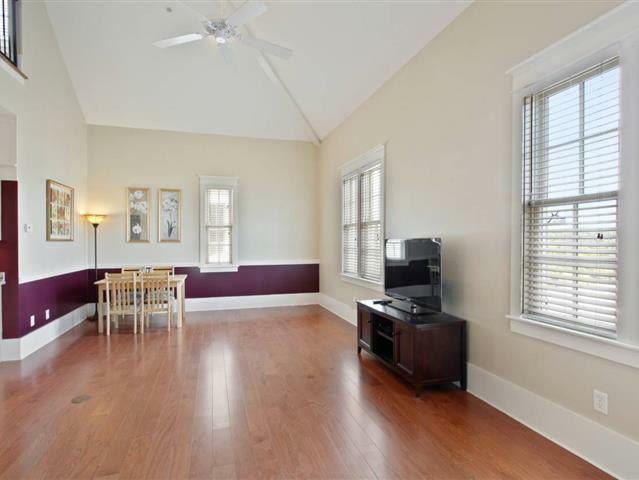 This condo has three bedrooms, three full baths, and is approximately 1660 square feet. It enjoys hardwood floors, high ceilings, built ins, and a spiral staircase to the upper level. There is convenient elevator that goes to the condo, so no need to worry about stairs. There is a big screened porch overlooking community green space as well. The main floor has a beautiful layout, and enjoys plenty of natural light. Two of the three bedrooms are on this floor, while the third is on the upper level. The kitchen has ample counter top space composed of gorgeous granite. The kitchen island also offers additional seating and extra storage. Located minutes away from historic Beaufort, this community is a must see. It was awarded "Best Neighborhood Design in America" by the National Association of Home Builders. Habersham offers the views and feel of what Low Country is all about. With over 3500 trees, this neighborhood preserves much of the natural beauty of the land.